South America Continental Pro is part of the UAEJJF World Ranking and Abu Dhabi World Professional Jiu-Jitsu Qualifying Series. ONCE THE REGISTRATIONS DEADLINE FOR SOUTH AMERICA CONTINENTAL PRO IS OVER, the complete fighters' list will be merged with registration from brazilian website (Portuguese Language). ASSIM Q FECHAR AS INSCRIÇÕES A LISTA DE LUTADORES SERÁ ATUALIZADA. 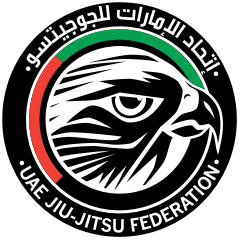 A lista completa dos lutadores sera juntada a lista de lutadores da FBJJ & UAEJJF. Medals will be awarded for all 1st, 2nd, and 3rd places of each division. For the divisions whose will fight on Saturday. Time: 7:30 a.m. to 9 a.m.
For the divisions whose will fight on Sunday.